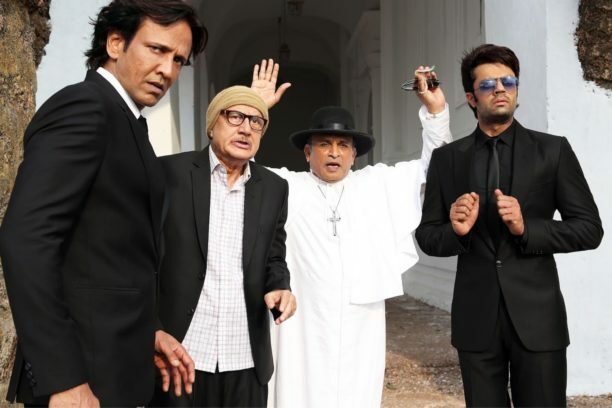 Get ready beacause Anupam Kher, Annu Kapoor and Kay Kay Menon three of the most fabulous actors in Bollywood come together for the comic thriller, ‘Baa Baaa Black Sheep’. Directed by Vishwas Paandya and with that cast this promises to be a thrilling laugh riot. The timing of these three actors is so incredible that whoever has seen the trailer of the film can’t get over their performances. ‘Baa Baaa Black Sheep’ has ensemble cast of Manesh Paul, Manjiri Fadnis, Anupam Kher, Annu Kapoor and Kay Kay Menon in special appearance and is slated to release on 09th March 2018.